Vauxhall Astravan is a stylish sporty van for those looking to make a statement on road. Available in four engine variants, the Vauxhall Astravan is an environment-friendly vehicle. With its bigger frame (4515mmX2033mmX1500mm), Wheelbase: 2703mm and total payload capacity of 650kg, the Vauxhall Astravan can surely carry tremendous volumes of cargo without any hassles. Its fuel tank capacity is 52 litres, which is enough for covering substantial distances without refuelling. Add to it, the fuel consumption of 6.5 litres/100km, and you have a serious contender among the top ranking vans in its category. The engine has a power displacement of 1686cc with maximum torque of 240Nm/2300rpm. 4 cylinders boost the engine performance. To top it all, the Vauxhall Astravan is a low-emission van with 132g Co2 per kilometre. Maximum Load Space : 1.58cu.m. The Vauxhall Astravan has some of stunning comfort features. For side support, the van is equipped with contoured seats. Additional comfort is ensured by the use of top quality interior trims and fabrics. The telescope Electro-Hydraulic Power Steering system in Vauxhall Astravan is among the best rated in this category of vehicles. 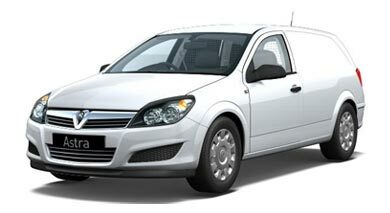 Besides comfort, the Vauxhall Astravan is also one of the safest vans around. Apart from the mandatory front airbags, this van also features Anti-locking Braking System (ABS) with Understeer Control Logic (UCL). Vauxhall’s indigenously designed Pedal Release System (PRS) ensures safety as well as a comfortable drive throughout the journey. Whether you want to buy a van for intra-city or inter-city transportation, Vauxhall Astravan will deliver unmatched performance every time without fail. If you prefer a practical and cost-effective solution for your business, Vauxhall Astravan fits the bill perfectly with ample display of professionalism to make a lasting impression on your clients. Got a Vauxhall Astravan to sell?